Our February meeting of the Society is this Friday, 7:00 P.M., at Rock Point Books, 4th & Broad St. Our topic will be the second of C. S. Lewis' Space Trilogy books (or Cosmic Trilogy, or Ransom Trilogy, or whatever! 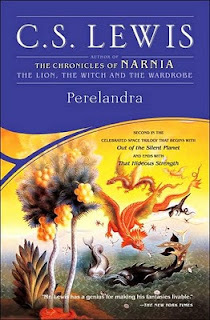 ), Perelandra. The discussion will be lead by Art Crouch. The public is invited and come whether you've read the book or not. Hope to see you there! Postpost - Thanks Art for a great discussion!